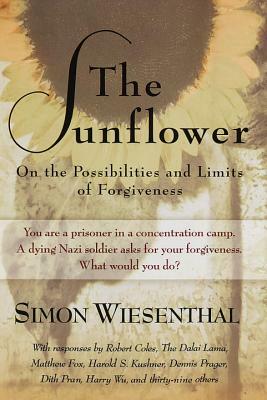 The first 1/3 of the book is what happened in the life of Simon Wiesenthal, the author, during WWII. It is presented in such a way that the reader has the feeling of being there but "filtered"so as not to receive the full horror of that time. Wiesenthal invited a variety of notables to give their opinions of his quandry. It was impossible for me to skip even one. It is a good study in what is forgiveness and how are we to forgive. the story are four score commentaries on the book by living and nonliving writers. spend the rest of eternity painting the portraits of the victims of his mass genocide.